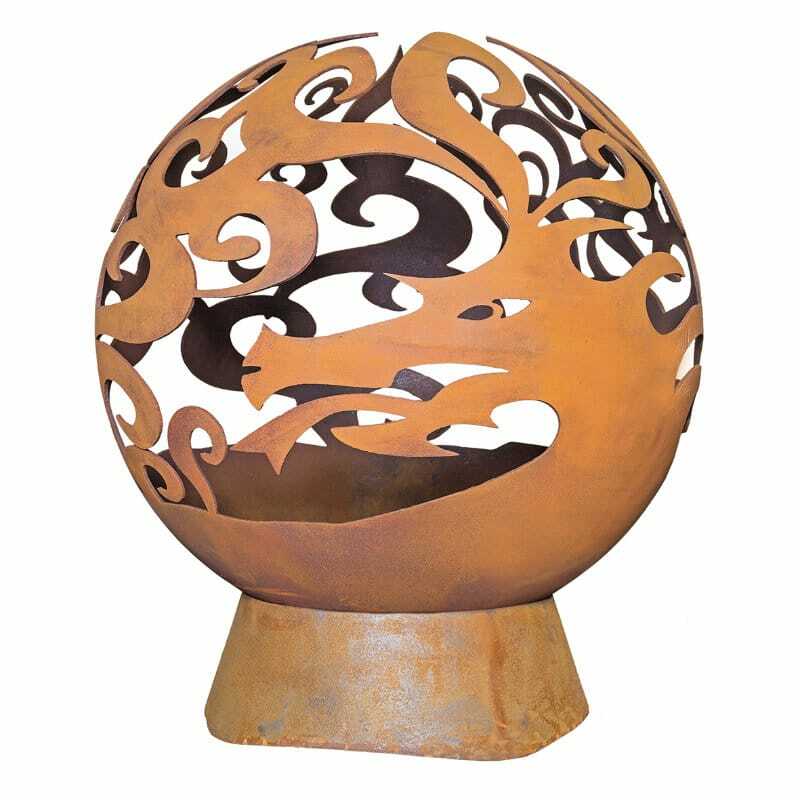 Wow your guests with the seriously impressive Dragon fire globe while enjoying the warmth of a big wood fire. 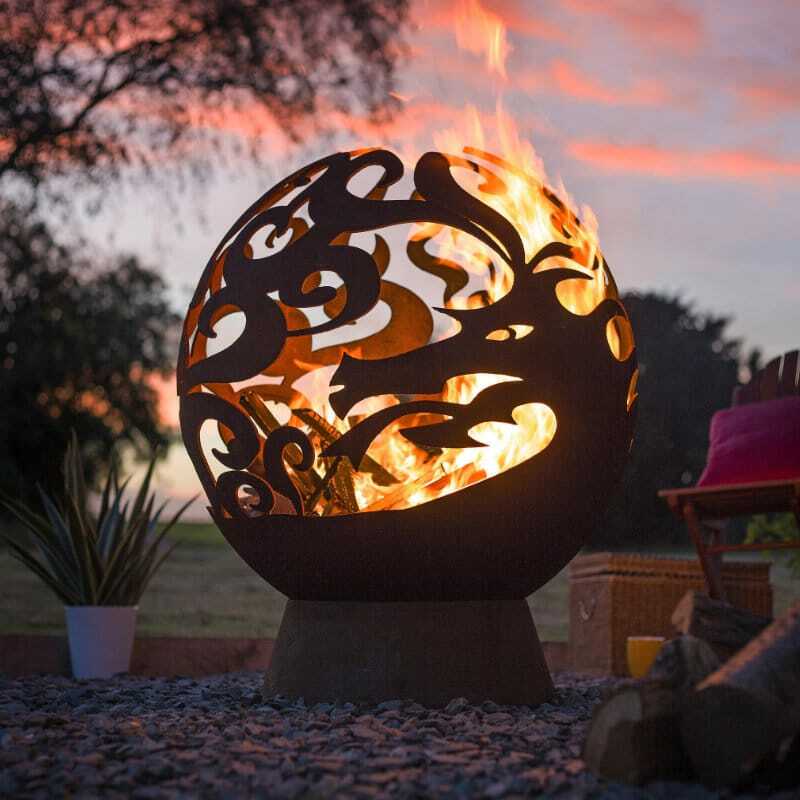 Measuring a huge and majestic 80cm in diameter, this sculptural fire globe will be sure to stand out and attract attention. 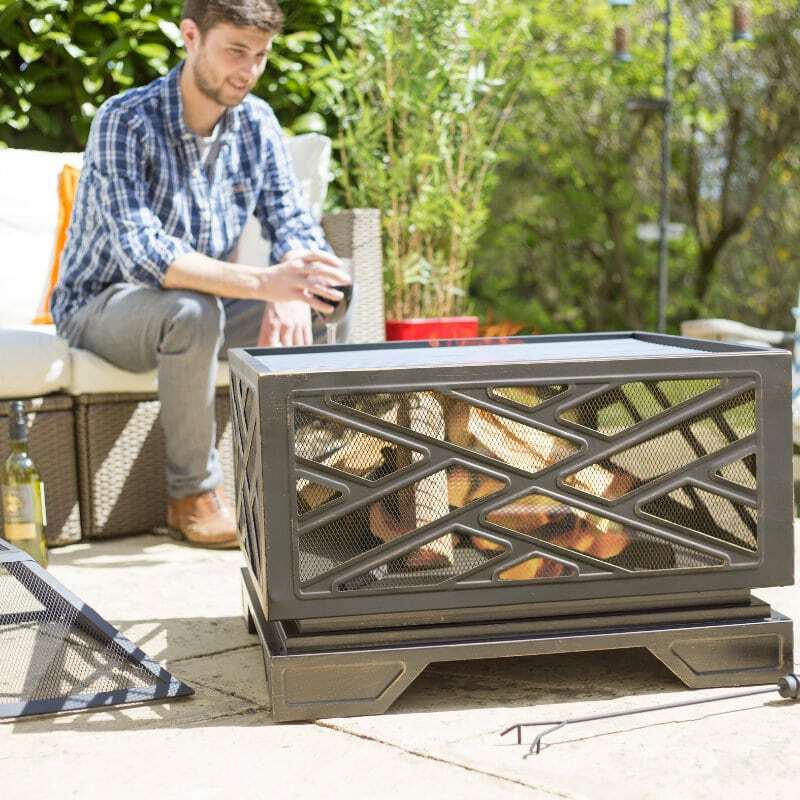 When lit, the dancing flames illuminate the intricate laser cut swirling design and reveal the majesty of the fire breathing dragon. 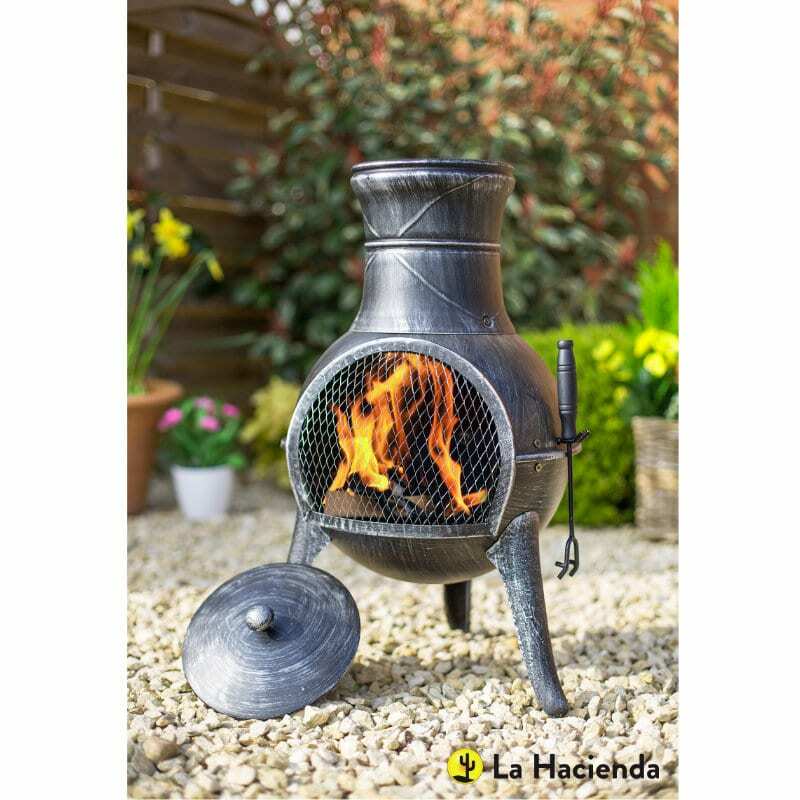 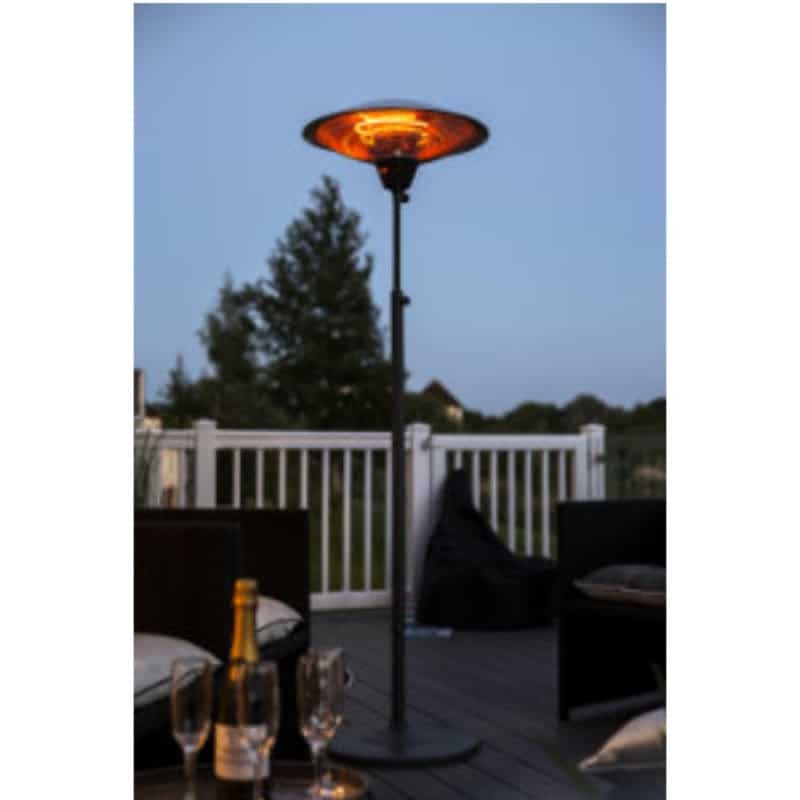 The Dragon fire globe is constructed from 6mm thick oxidised steel with a sturdy cast iron stand. 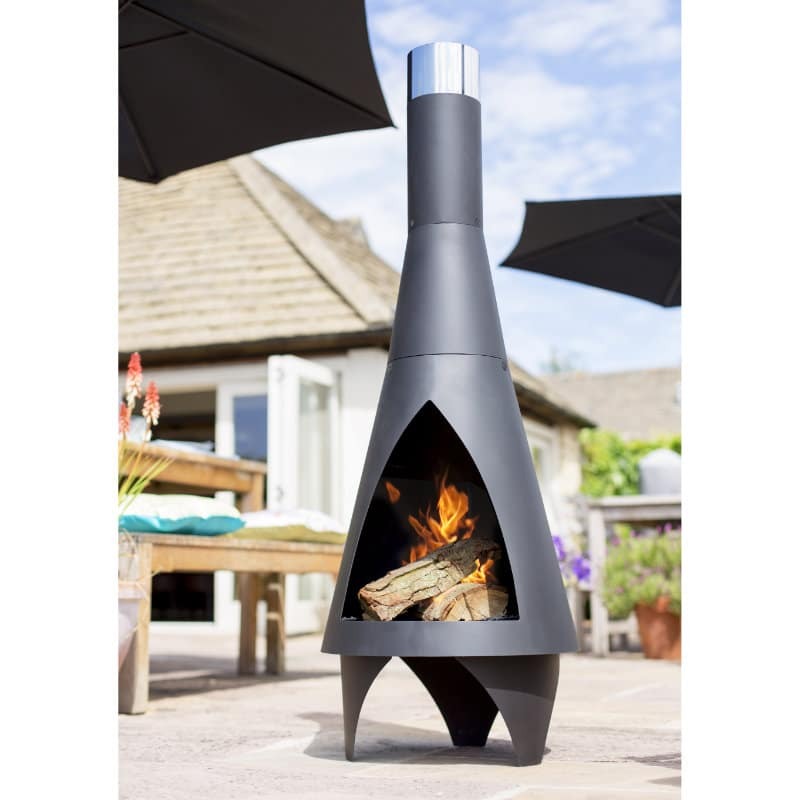 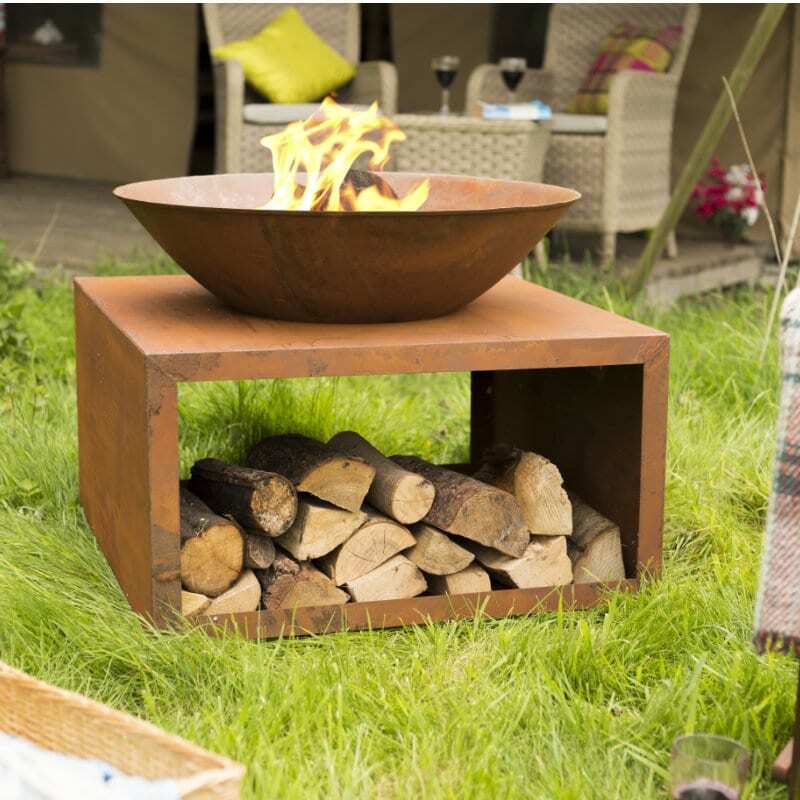 Designed in house by our experienced design team, it’s truly unique, so position in your favourite outdoor space for one of the most impressive and inspiring centrepieces around.